Gold with its 5,000 old history of being used as the store of value has no rivals in its ability to protect your wealth from hyperinflation, currency defaults and further realities of severe economic downturns. Gold bullion and silver bullion analysts recommend that virtually every investor consider adding gold bullion bars and coins to their investment portfolio. But how do you navigate in a rather confusing world of gold and silver coins? How do you know what to buy and what to look for? How do you know that you are not being ripped off? Should you buy numismatic gold coins or bullion coins? 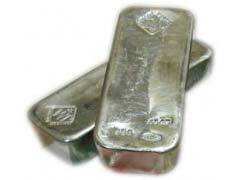 Should you invest into silver bullion bars or gold bullion bars? 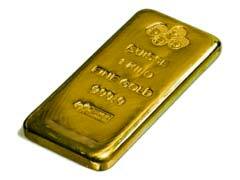 What about other types of gold investment like gold stocks, gold ETFs, gold mutual funds and gold futures? Should you buy some of those or do you stick to physical gold bullion and silver bullion? With all these questions, you are sure to be left doubting whether you should even consider investing in gold or silver bullion in the first place. Do not despair – GoldBullionPro.com is there to guide you along the stormy waters of gold and silver investment. We have done plenty of research and present some of the most important aspects of gold investment along with investment in alternative precious metals like silver, platinum and palladium. GoldBullionPro.com is the place where you can receive unbiased tips on how to purchase your first gold bullion products, where to look for them and how to minimize your investment costs. In addition, we have come up with top lists of the most well regarded gold bullion dealers to take the guesswork out of your gold market decisions and get you on the road to successful gold investing. We have presented information and coin mintage facts on the most popular US or International gold bullion coins, including the pros and cons of buying certain coins. With so many bullion coins being present on the market nowadays, the choice can literally make your head spin. GoldBullionPro.com makes it easy for you and narrows down to the most investment savvy options. Moreover, we compare various forms of gold and silver investing mechanisms so you know what is right for you. GoldBullionPro.com allows novice investors to weigh in all pros and cons of investing in physical gold bullion, gold shares, gold mutual funds, gold ETFs and even gold futures. But that is not all! We also work hard on discussing different not so obvious aspects of gold bullion investment that you might not have considered like where to store you gold or silver bullion, what Capital Gains Tax rate your gold bullion is subject to and how to invest in gold for survival purposes in difficult economic times. For individuals interested in selling their gold jewelry for cash, we have plenty of articles explaining how to maximize your payouts and how to not get ripped off by dishonest dealers and pawn shops. Read through a variety of information on how calculate the gold value of your jewelry and where to find out the current spot price of gold. Investing in gold is not that hard in the end when you have a reliable partner like GoldBullionPro.com!